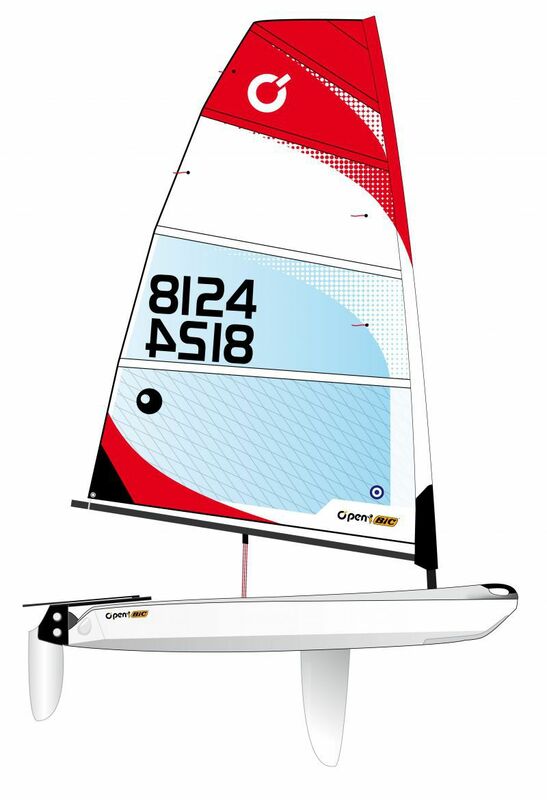 The hull of the O’pen BIC was designed with fun sailing as the priority. It is a modern boat where the hull is as open as possible, thereby leaving the helmsman completely free to move around and trim the boat to any wind and water conditions.When hiking, the large sides allow the sailor to set-up comfortably with his/her feet in the straps without placing any unnecessary stress on the body. 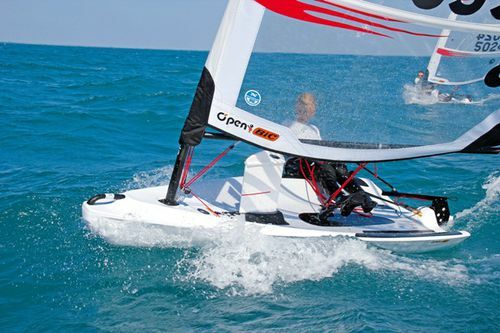 The totally open and sloping cockpit means that there is absolutely no water in the boat either during sailing or just after a capsize. A relatively hard chine design was chosen for the bottom shape of the hull. Used by numerous modern boat architects, this design offers an excellent compromise between performance and stability. When reaching or broad-reaching, the boat accelerates quickly to planing speed. When close-reaching, the boat sets on its chine and has excellent performance up wind. 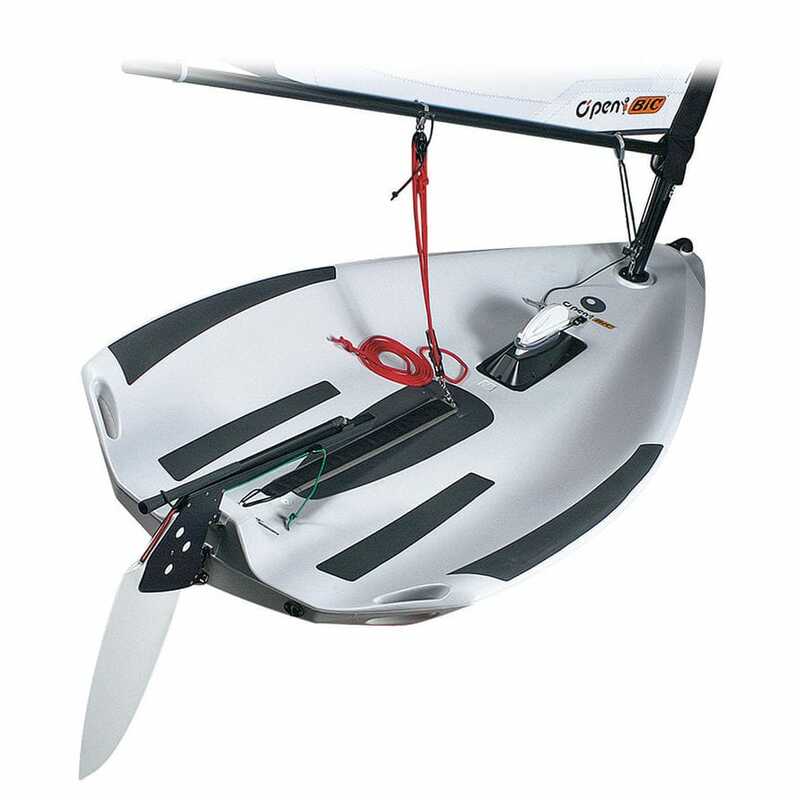 The hull includes integrated carry handles for easy launching into the water and easy transport.